Payne, Matthew Thomas. 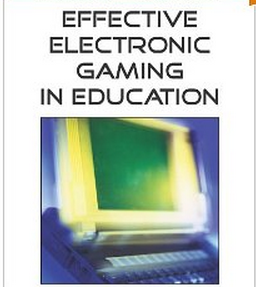 “Interpreting Gameplay through Existential Ludology.” Handbook of Research on Effective Electronic Gaming in Education. Edited by Richard E. Ferdig (Hershey, PA: Information Science Reference, 2009): 621-635. This chapter introduces and operationalizes an innovative interpretive strategy called “existential ludology” to explain how the game-play mechanics of two tactical shooter video gamesAmerica’s Army: Rise of a Soldier (Microsoft’s Xbox) and Full Spectrum Warrior (Sony’s PlayStation 2)educate gamers on how to play militarily. These titles, both produced in part by the U.S. Department of Defense, engender strict, doctrinal learning opportunities by embedding official combat protocols into their game-play structures. By employing existential ludology as an interpretive tool we can understand these military-backed games from an experiential, player-centric perspective, while also recognizing how their seemingly innocuous game-play is located within, and linked to, larger networks of power. Moreover, existential ludology’s flexibility as an interpretive instrument encourages educators to recognize the educational affordances of popular video games so that they might adopt these popular media artifacts for their own pedagogical ends.